Why is IT as a Service Model Essential in Digital Transformation? Digital Transformation (DX) is helping enterprises to change not just technologies but the entire way of doing business. 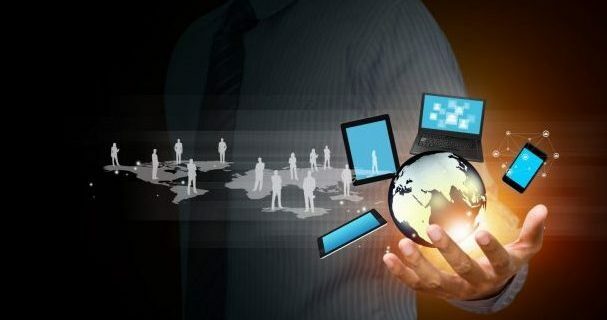 CIOs are implementing digital strategies to enable smooth collaboration among employees, automate internal operations, and exceed consumer demands to gain or sustain a competitive edge. From being a ‘must watch’ in 2013, digital technologies have now become a disruptive factor enabling process automation, dramatic cost reduction, productivity improvement and several new competitive advantages. There has been a major shift in the way businesses leverage and consume IT resources. This shift has given rise to a new business model. i.e., IT as a Service (ITaaS). Implementing IT as a Service requires you to reorganize the traditional function-based structure of your IT department into an IT as a Service model construct. You need to rethink your IT enterprise, your ecosystem, your technology investments, and your relationship with the business. But attaining this level of change isn’t easy, quick or cheap. There are certain factors you must consider when implementing IT as a Service business model. Early on, you must determine the objectives you want your enterprise to achieve through technology. Create an ideal profile of what it should entail. Do you want your services to be digitally accessible anytime, anywhere? Should the technology be procured to improve productivity in application development or perhaps you want to virtualize your IT assets by shifting to the cloud? Every objective should dictate the solution you must choose. For most enterprises, especially government agencies, security is a priority. There are several requirements and laws that govern how companies must secure technologies, including cloud products and services. Before making a virtual shift, ensure the cloud platform is capable of meeting all your security requirements. If you are moving your existing applications or services to the cloud, you must identify what services can and cannot move to the cloud. Ensure your applications are ‘cloud-friendly’ in terms of latency, file structure, sensitivity, and other important considerations. You must determine who will have the access to specific accounts and services in the cloud and on premises. Also, consider the requirements you have for the availability and reliability of that application or service. You must know whether your cloud solutions will be integrated with your legacy systems or not. If so, you must have access to tools that can assess your environment for readiness. Also, check if your cloud service provider offers to administer the process and methodology. All the above factors have implications on your enterprise’s design, process, policies, and operations. The first step CIOs need to consider in improving the alignment and relationship between IT departments and business is to reorganize IT into an ITaaS construct. Once your business gets into the woods of the ITaaS journey, the process will manifest itself for moving other elements into that model. Want to learn more about IT as a Service model or transform your business model through application modernization services? Connect with our experts to find out more about our Digital Transformation services.